We compare the Tata Indigo eCS – the first compact sedan – to the latest, the new 2012 Suzuki Dzire! 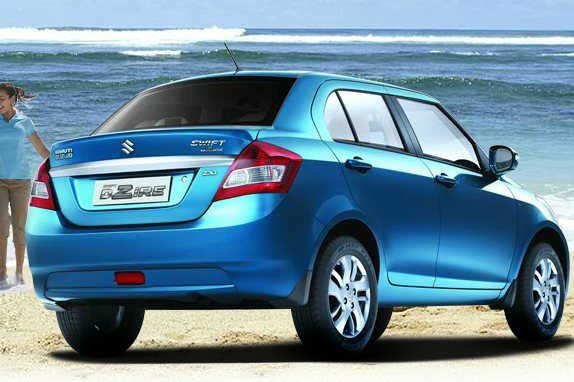 The compact sedan segment has come into the limelight again with the launch of the new Maruti Suzuki Dzire. The new Dzire which measures less than 4 metres in length and has been priced quite aggressively, with prices starting at Rs. 4.79 lakh. That’s just about Rs. 24,000 more than the base Tata Indigo eCS. So will the Dzire tempt Indigo buyers? Let’s see how they compare. The new Dzire is quite a looker. Though the boot space is 316 litres, the new Dzire has an edge over the outgoing model in terms of performance, handling and its compact dimensions allow for easier parking. The Indigo CS, which kick started the compact sedan segment in 2008, has been a hit, not just among private buyers but also among taxi/fleet operators. The Indigo CS is a practical, spacious and easy to park in tight spaces. Tata Motors updated the Indigo CS with a BS-IV compliant diesel engine in 2010 and introduced a new top-end variant, the VX last year. Though the engine refinement and outright performance are still far from being the segment best, the Indigo eCS stands out with its claimed fuel efficiency of 25 kmpl. The 1.3-litre DDiS diesel engine of the Dzire puts out 74 bhp of power and 190 Nm of torque. It is superior to the Indigo’s 1.4-litre CR4 diesel engine that puts of 69 bhp of power and 140 Nm of torque. Similarly, among the petrol variants too, the Dzire with its 1.2-litre, 87 bhp engine performs significantly better than the 1.2-litre, 63 bhp motor in the Indigo eCS. The new Dzire has achieved a significant improvement in drivability and handling than the outgoing model. The shortened rear overhang, lighter kerb weight and improved aerodynamics have enhanced the performance of the Dzire. When compared to the Indigo eCS, the Dzire is a generation ahead with regard to engine refinement and performance. The Dzire’s 1.3-litre motor doesn’t show much turbo lag which is an advantage for driving in city. On the other hand, the turbo in the Indigo eCS kicks in at a slightly higher (2000) rpm, but it too is quite quick in city traffic. But driving ergonomics of the Indigo eCS don’t match up to the Dzire, as the high-set steering and pedal positioning make it less comfortable to drive.. The suspension setup in the Dzire has been tuned to offer better ride quality whereas in the Indigo eCS, the rear suspension tends to pitch especially at low speeds. Handling wise, the Dzire with its limited body roll and good road manners inspires confidence while the Indigo eCS has great straight line stability but its handling characteristics are not as good as the Dzire’s. Summing up, the Dzire drives and handles better than the Indigo eCS. 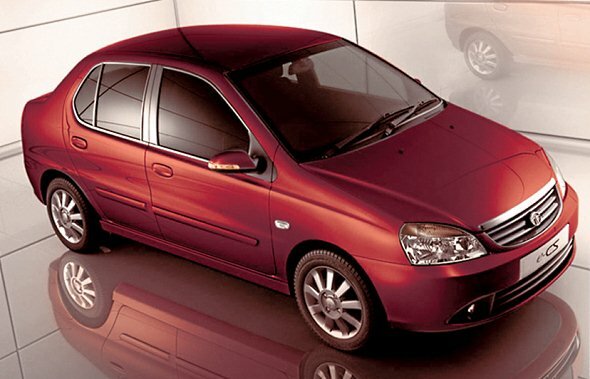 Space has always been Tata cars’ USP and the Indigo eCS is no exception. The front occupants get adequate headroom, legroom and shoulder room though the seats’ under-thigh support could be better. The rear seat has space for three adults with adequate legroom as well. Coming to the Dzire, the front seats offer adequate room while at the rear, legroom is just about average. The rear seat in the Dzire is best suited to just two occupants. The Dzire offers 316 litres of boot space while the Indigo eCS offers 380 litres. Buyers, who are particular about luggage space, may thus find the Indigo eCS attractive. The new Dzire largely resembles the new Swift when seen from the front though there are subtle differences. For instance, the front grille has horizontal slats rather than the Swift’s honeycomb structure. In the new Dzire, the boot section has been aesthetically integrated avoiding the awkwardness found in the earlier model. Further, the boot also has thick chrome strip and a tiny in-built spoiler. The Indigo eCS continues with its Indica-family smiling grille and conventional design. It sports twin-beam headlamps and plenty of chrome, but the overall design looks a little dated. The rear section of the Indigo eCS has a seamlessly integrated boot section that gels well with the overall structure. In fact, the tail lamps of the Indigo eCS are better looking than those of the new Dzire. With regard to interiors, the Dzire is much better than the Indigo eCS. Plastic quality, fit and finish in the Dzire give it a premium feel which the Indigo eCS doesn’t offer. The Dzire will appeal to buyers who like contemporary and sporty looks while the Indigo eCS will appeal to buyers who like more subtle, traditional looks. When comparing the base variants of both the cars, the Dzire and the Indigo eCS come with similar features though the Dzire offers more such as tilt steering, engine immobilizer and fuel consumption display. Taking into account the top-end variants, the Dzire has dual front airbags and automatic climate control which are not offered in the Indigo eCS. The only thing that the Indigo eCS offers which the Dzire doesn’t is a Bluetooth compatible music system. Features wise, the Dzire is slightly better than the Indigo eCS. The Indigo eCS is the cheapest diesel sedan to own. The base diesel variant LS is Rs. 60,000 cheaper than the Dzire Ldi. Similarly, the mid LX and top-end variant VX of Indigo eCS are Rs. 90,000 and Rs. 1,30,000 cheaper than the Dzire. Mileage wise, the Indigo eCS has a slight edge with its claimed 25 kmpl as against the Dzire’s claimed mileage of 23.4 kmpl. When it comes to value for money proposition, the Indigo eCS is attractive. Though it doesn’t offer safety features such as airbags in the top-end variant and automatic climate control, most of the features are at a par with the Dzire. Hence, buyers on a tighter budget may prefer the Indigo eCS. It all comes down to budget and what you expect from a compact sedan. If mileage, budget and interior space are of top priority, look no further than the Indigo eCS. However, if contemporary looks, performance, handling and long-term reliability are of top priority, the Dzire is for you. « New Maruti Dzire: Video Review!